Ecuador has a wide availability of activities to enjoy. This variety goes from the mountain to the beach, including the Galapagos Islands. In each place, there are lots of experiences to enjoy, and people and customs vary radically from one place to another. 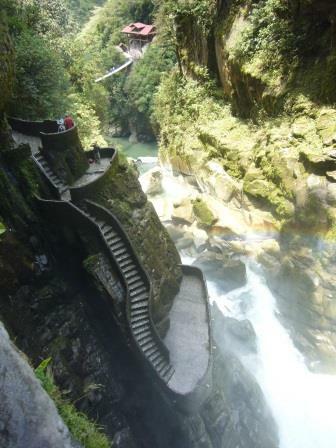 Baños is located in the province of Tungurahua, approximately 180 km from Quito, and is located in a valley surrounded by waterfalls. You can travel from Quito to Baños by bus. This incredible route of about 60 km goes into the jungle (road that can be done by bike, car, motorcycle or bus). 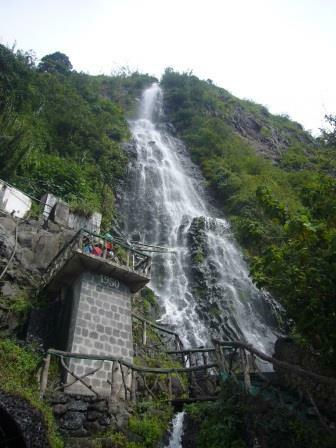 The road passes by waterfalls, among them “Manto de la Novia” waterfall, which height is approx. 60 m. You can cross the Pastaza river, on something called “tarabita” (cable cart), a bit high and somewhat scary. 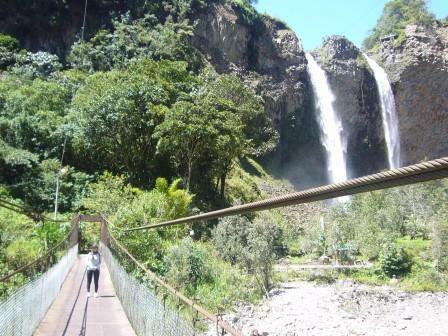 There are several points along the route where you can take the Tarabita, or you can walk on a suspension bridge (in the case of the cascade Manto de la Novia) which allows you to see the different waterfalls more closely. In some of these crossing points, I ended up entering into a private property, in search of a closer view of a waterfall. At that moment some dogs came out to attack me, and was bitten by a dog. 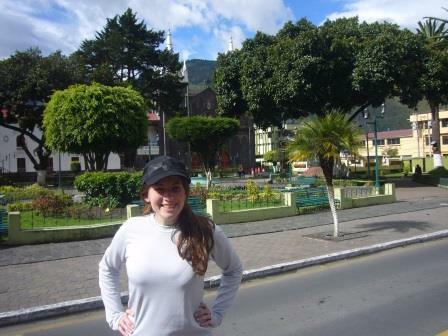 Nothing serious, and I was happy to find out that Ecuador eradicated rabies (as researched during that trip) in 2007. 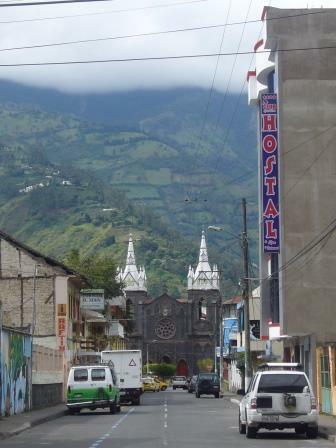 For this trip, you can rent bicycles in Baños or hire a tour. I decided to rent a bike and enjoy this beautiful place at a low pace. No regrets! For going back to Baños, you can take a bus at Puyo and take the bike with you. See my video crossing in a Tarabita!!! 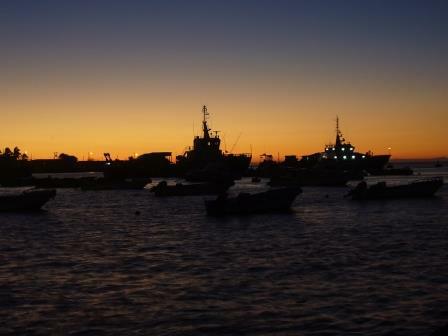 To reach the Galapagos archipelago, you have to take a plane to take you almost 1000 km from Guayaquil. The archipelago has 19 main islands and a considerable amount of islets and rocks. 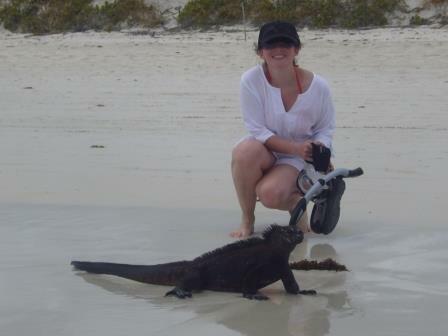 The Galapagos Islands are characterized by their abundant variety of flora and fauna. In 1832 the Galapagos Islands became part of Ecuador. Of the 19 main islands and the multiple islets, only 4 islands are inhabited by humans (Santa Cruz, Isabela, Floreana and San Cristóbal) being the main San Cristóbal, Santa Cruz and Isabela. In 1836 the island of San Cristóbal was visited by ships carrying out a scientific study of geology and biology on four of the islands before continuing their expedition around the world. In one of those ships was Charles Darwin who was on land for about 2 weeks, and explore and study the plants and animals of the area. All the data collected from this trip lead his study of the origin of the species. 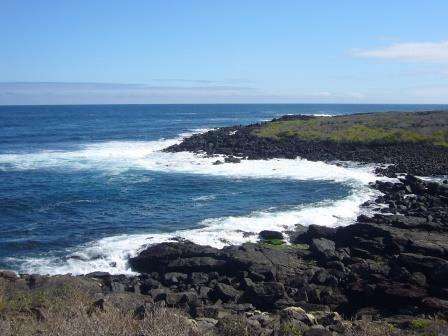 For scuba diving and snorkeling lovers, the Galapagos archipelago has a number of places to dive and snorkel. As far as diving is concerned, I recommend to have previous experience (20 dives minimum), as there are some dangerous currents which make some previous experience a must. In my case, I spent 5 days out of 8 diving. You will be surprised by the variety of life under the sea in Galapagos. If you are not an experience diver, just go snorkeling. Charles Darwin Research Station is an incredible place on Santa Cruz Island. 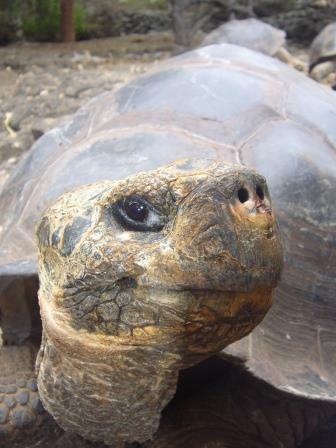 At this station, you can find the place where Jorge Solitaire (the last tortoise of one of the giant tortoise species of Galapagos died in June 2012), baby turtles, giant tortoises and diverse fauna and flora. 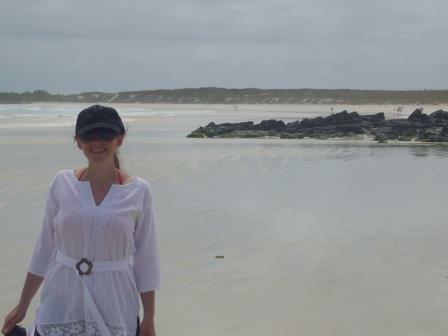 Take a quite day in Turtle Bay, it is priceless. As I usually do on quite days, I took a beach mat, a good book and my mate (traditional infusion from Argentina), and enjoy the afternoon at Playa Mansa. There were very few people, and I was at an area where the water was calmer. Great place to slow down after some hectic days. 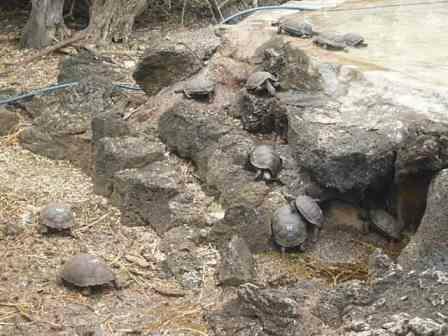 Turtle Bay is a 20-minute walk from Puerto Ayora on Santa Cruz Island. According to TripAdvisor, it is in the tenth place of the best beaches in the world and in the 2nd place in South America. 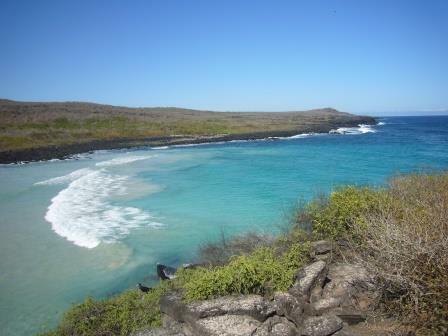 In Playa Brava you can do some surfing, while Playa Mansa is ideal for snorkeling. You can only access the beach during open hours indicated by the National Park. To reach the beach, you have to walk over 2.5 km. 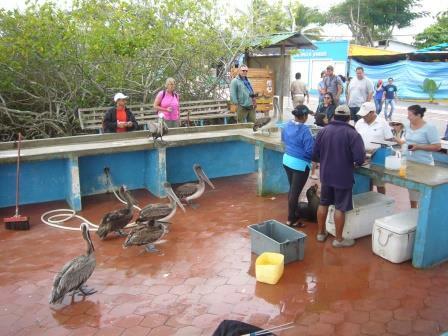 You must register going in and out at the Galapagos National Park Office. 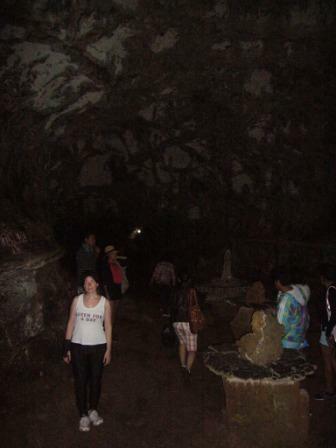 A tour that is worth doing on the island of Santa Cruz is to go to the lava tunnels, that are in the upper part of the island. 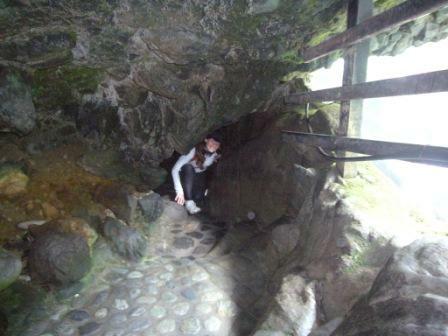 It is impressive to see the tunnels that were formed by the passage of lava millions of years ago. The vegetation in this area is much more abundant. It is a beautiful town! It is small but has incredible landscapes. The people are very friendly. It is considered a gateway to the jungle. 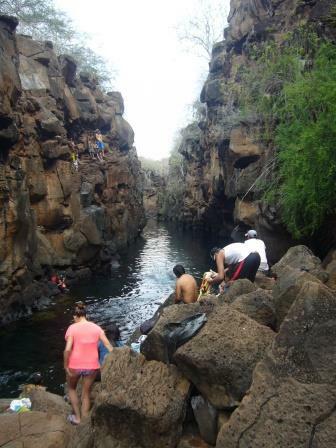 After a hectic day, nothing beats a plunge in Las Grietas. 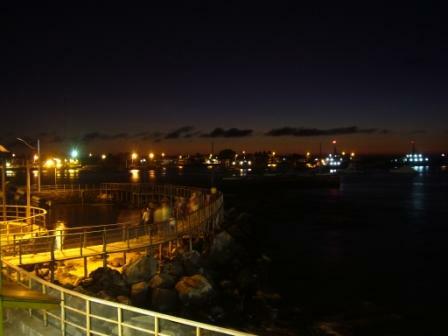 The water, a mixture of fresh and salty water, is colder than the sea and can be reached on foot from Puerto Ayora. 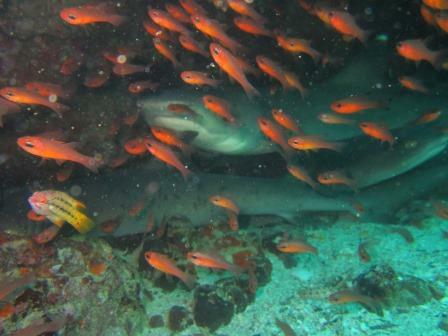 It is ideal for snorkeling because of the amount of fish that can be seen! 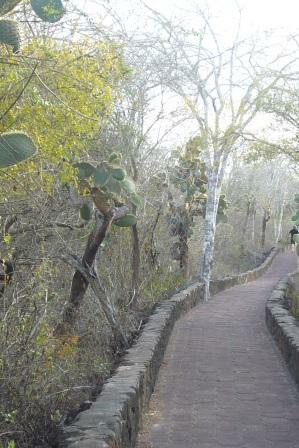 It is an interpretive trail to enjoy the mangroves. The length of the trail is 300 m, and the visiting schedule, a least when I was there, was from 8 a.m. to 5:00 p.m.
During the tour, you can enjoy the habitat of the mangroves, and the animals and flora of the region. 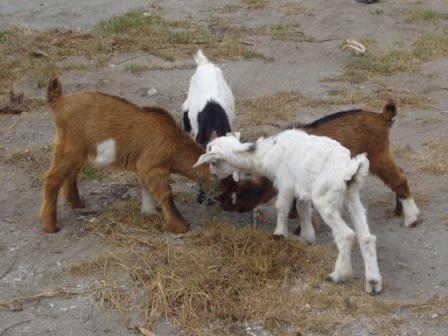 The Twins are located in the highlands of Santa Cruz Island, on the Puerto Ayora-Canal road of Itabaca. 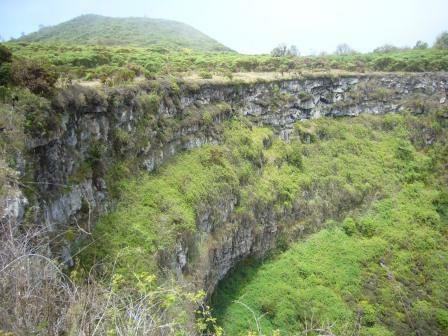 They are large depressions of volcanic material, formed by a long process of slow sinking of the soil, where trees, ferns, mosses and orchids can be seen. Some species of Galapagos finches and often the beautiful witch bird can be seen here too. Admission is free and can be accessed from the road. It is an amazing landscape that is worth discovering, the photos that are below do not do justice to the breathtaking landscape that it truly is. We passed by Fisherman’s Wharf, where we saw several street stalls where fishermen sold what they had caught. You can buy the fish you like, and take it to a restaurant to have it prepared. Something crazy happened to me while I was walking around the Puerto. I was checking out Facebook, when I learned that a friend of mine, who I hadn´t seen for many years, was also visiting the area. We connected and met for dinner that night. 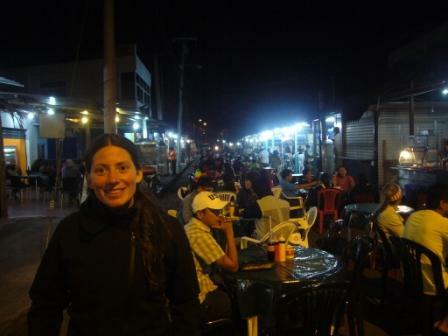 In Puerto Ayora, there is a street that is filled with stalls for dinner and is fun to take sometime to walk around and enjoy a meal. 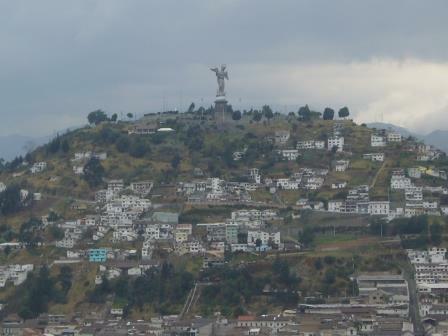 The Middle of the World city is located to the north of Quito. The main attraction there is the monument that marks the Middle of the World, which highlights the location of the equator. 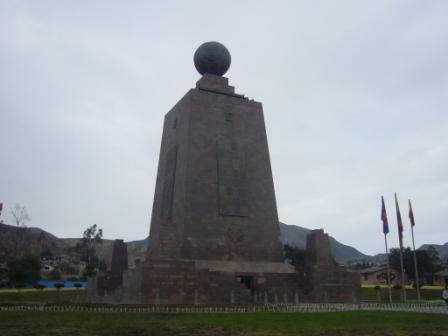 The monument, 30 m of height, was constructed between 1979 and 1982 to indicate the point where at that moment it was believed that the Ecuador passed through. Later, it was confirmed, by GPS, that it run some 240 m to the south of the true Ecuador. 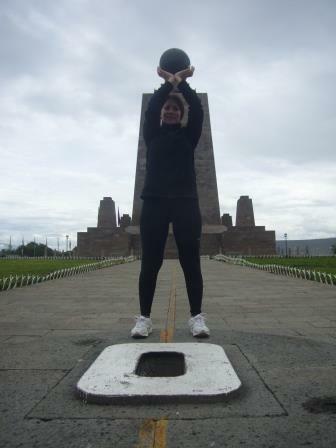 The monument, made of iron, cement and covered with andesite stone, has a yellow line drawn from the center in which, like me in the photo above is the typical photo taken by tourists standing on both Hemispheres. The monument has a pyramidal shape with each side facing a cardinal direction. 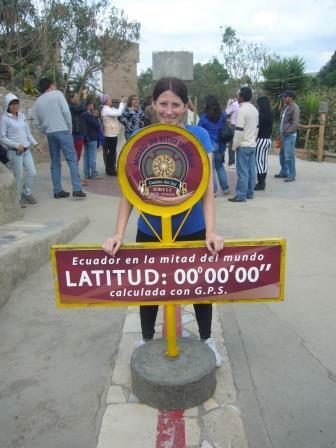 At its top is a globe of 4.5 m in diameter that has the continents in relief and a metal ribbon representing the Ecuador. In addition, it has four monoliths in the angles and its sides have the geographical direction of the four cardinal points. 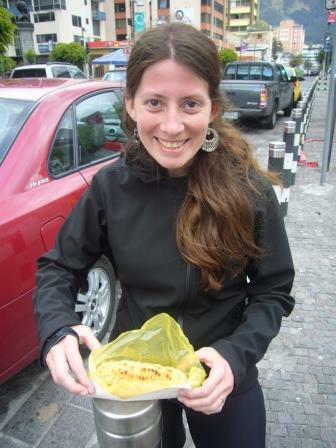 Quito, the political capital of Ecuador, is surrounded by the Antisana, Cotopaxi, Pichincha and Cayambe volcanoes. 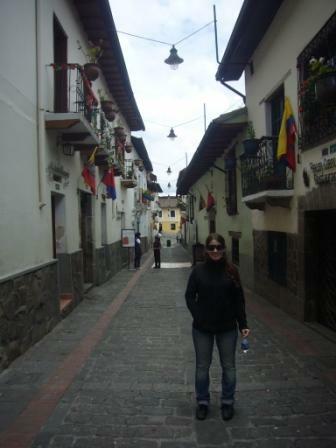 Quito, full of meanings that identify and define such a beautiful city occupies the slopes of the valleys. It was declared by UNESCO in 1978 as “Cultural Heritage of Humanity”. 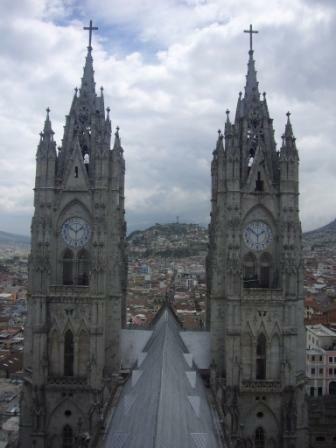 In Quito you can visit different places such as the Basilica of the National Vote, one of the most representative architectural works of the American continent. It is located in the center of Quito, has 115 m of height that makes it the tallest building in the city equivalent to 40 floors. It is made up of 24 internal chapels representing the provinces of Ecuador. From the highest point you can see the mountains and the city. It has a lounge in the highest point, where you can rest and appreciate the extraordinary landscape while having some coffee. You can also visit the Metropolitan Cathedral, located in the heart of the historic city, built in 1562-1806. 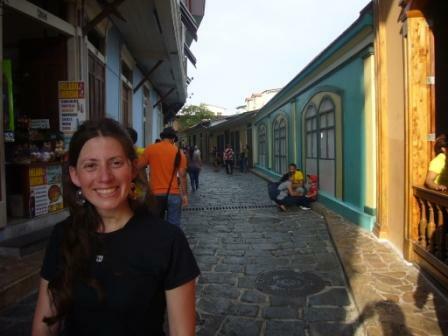 You can also tour the historical center which is very beautiful along with the local markets. 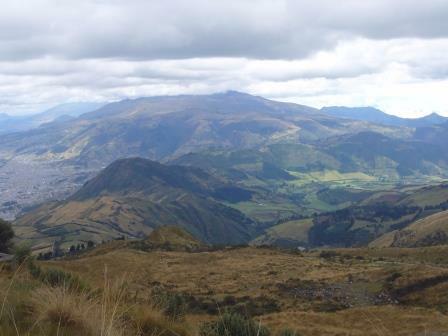 The Pululahua Geobotanical Reserve is 17 km north of Quito in the province of Pichincha, near La Mitad del Mundo. 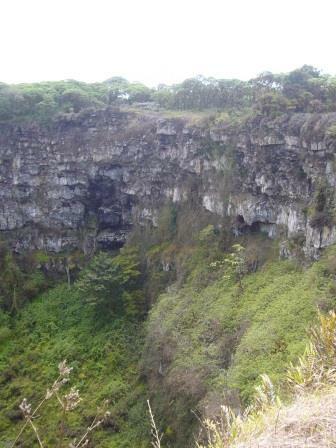 The reserve is in the interior and on the slopes of the active homonymous volcano. It is an incredible place, in which about 40 families who are engaged in agriculture live. 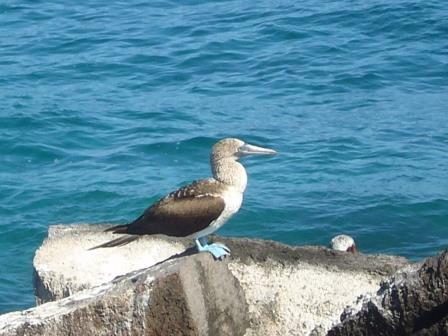 San Cristóbal Island has a large population of birds, among which you can see the blue-footed booby. 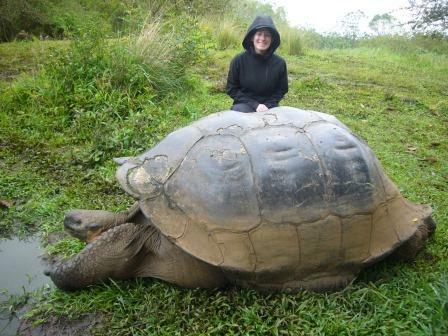 There are many activities you can engaged in, like visiting the Galapaguera, which is a breeding and refuge station of giant tortoises, virtually paradisiacal beaches and only the presence of animals, Puerto Baquerizo Moreno, Cerro Tijeretas, the original site where Charles Darwin landed (there is a statue indicating the place). At the top of the island is the San Cristobal Biological Station. 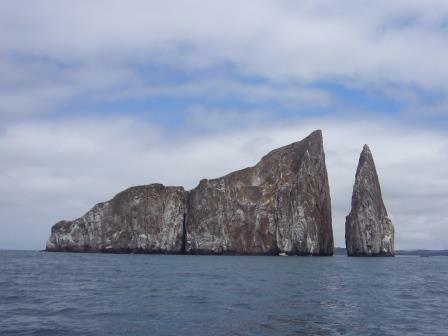 The Sleeping Lion is a rock formation near the San Cristobal Island in the Galapagos archipelago. 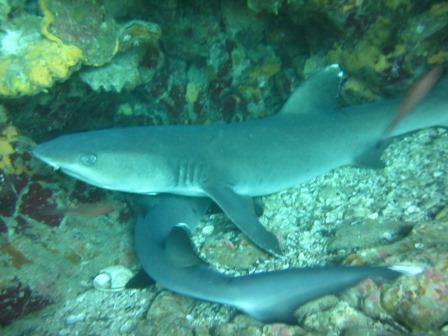 There you can snorkel and see an incredible amount of fish and reef sharks. 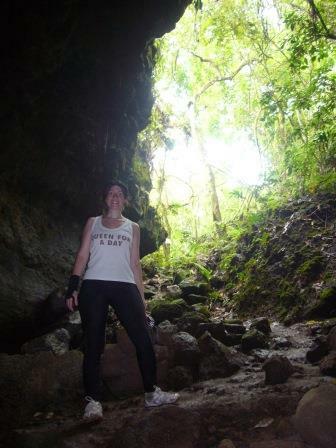 You must book the tour in San Cristobal Island. 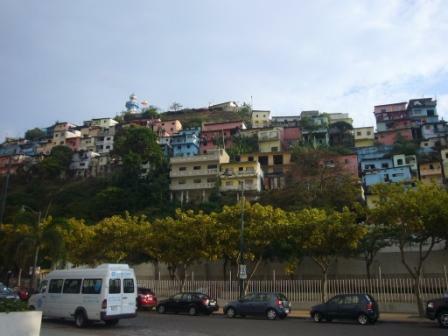 Guayaquil is the most populated city in Ecuador. 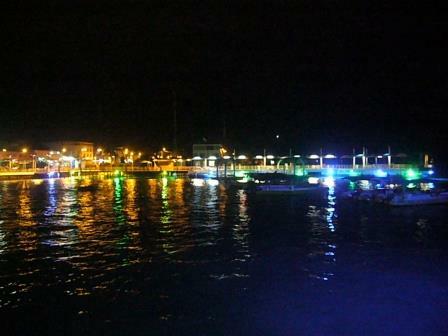 It has a beautiful pier to walk, called Malecón 2000 of 2.5 km of extension. It is a safe place to walk and enjoy the scenery. The pier has great monuments about the history of the city, museums, gardens, fountains, viewpoints, shopping centers, bars, restaurants, docks, etc. 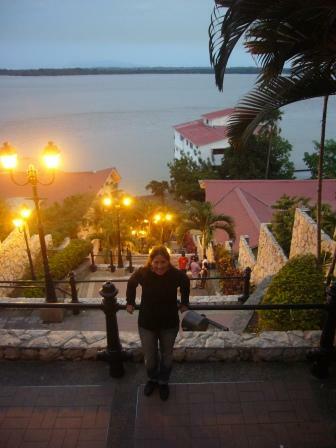 I could only stay one day in Guayaquil, so I chose to go for a walk at the boardwalk that I had been recommended. It is a beautiful walk. 1. 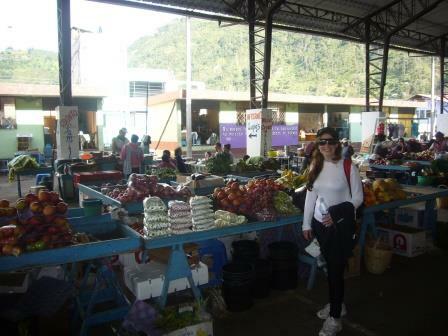 In the markets haggling is common; in the rest of the places, is not customary. 2. 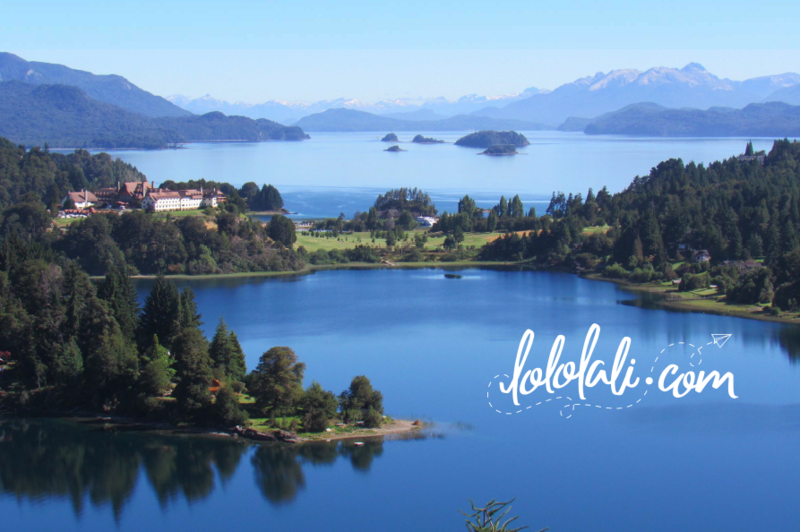 If you are going to do the bike tour, it is not necessary to hire a tour with a guide, you can rent the bicycles in the center of Baños and ride it on your own. Everything is perfectly signposted and the road is well prepared to carry out this tour. It is so popular that cyclists are respected on the road. You can got to around km 18, where you find the Mantle of the Bride and the most popular sights, or you can ride all the way to Puyo, 60 km. 3. 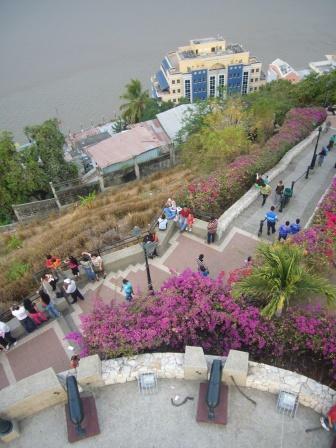 Guayaquil is somewhat unsafe, outside Malecon 2000 theft is common, so I recommend that you take care of your belongings and do not wander around. 4. Single women can travel without problem around the places where I was. 5. Make sure you are prepared to pay cash for activities, food and entertainment. 6. There are 2 seasons, dry and wet. The wet season is from December to May, from November to April in the sierra and from January to September in the jungle. The temperature in the Coast as in the East of the country is between 20 °C and 35 °C and in the sierra between 5 °C and 25 °C due to the altitude. 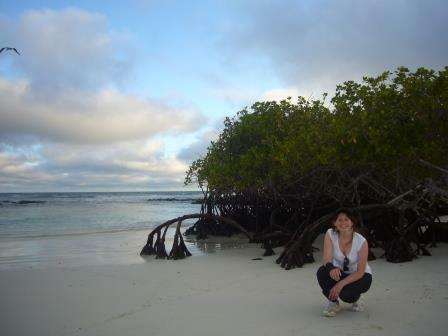 In Galapagos the climate is rather temperate and its temperature varies between 17 and 32 °C approx. Citizens of Mercosur countries (Argentina, Brazil, Bolivia, Chile, Colombia, Paraguay, Peru and Uruguay), CAN (Andean Community) and associated countries can present as identification document both identity card and passport. Rest of the tourists must have a passport. It is always a good idea to check with embassy about required travel documents. My itinerary, I only excluded some dive days. 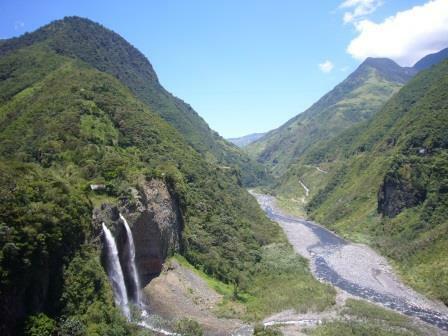 Quito Visit Quito Visit Middle City of the World and Pululahua Geobotanical Reserve (Full Day) Bus Quito – Baños Visit Baños and rent bikes for the waterfall route the following day. 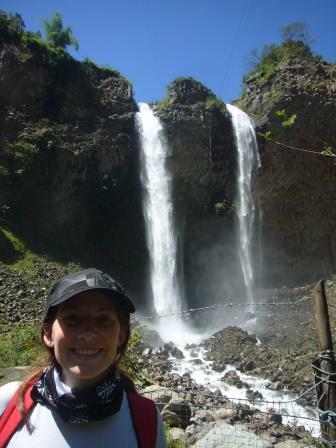 waterfall route (60 km) by bike. 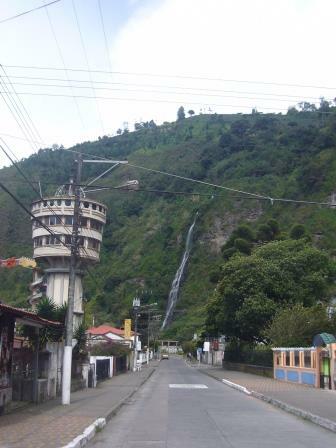 Baños / Puyo. Night in Puyo. Return at Baños by bus. Visit Baños Return from Baños to Quito. 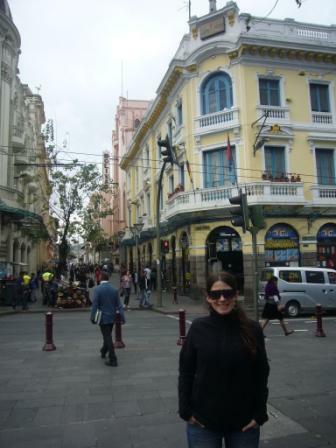 Visit Quito. Flight to Galápagos through Guayaquil. Arrive in Santa Cruz (the flight arrive in Baltra, island in the north of Santa Cruz island, then take a bus to Puerto Ayora). 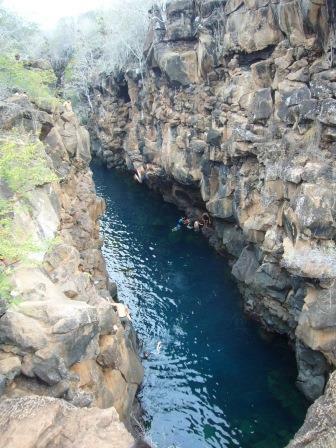 During the morning: Dive / Snorkell During the afternoon visit cráter Los Gemelos (twins) and lava tunnel. 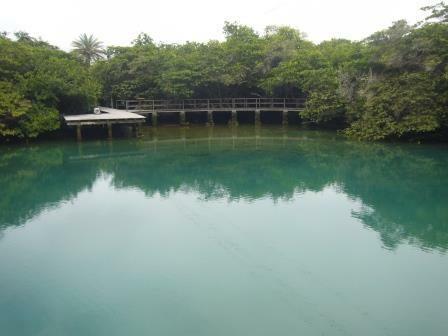 Visit Puerto Ayora and enjoy Tortuga Bay (20 min on foot from Puerto Ayora) During the morning: Dive/Snorkell During the afternoon: Charles Darwin Cientific Station Visit Laguna de las Ninfas. During the afternoon, swim in Las Grietas. Travel Santa Cruz Island – San Cristóbal Island Visit Puerto Baquerizo Moreno Dive/Snorkel in León Dormido (full day). 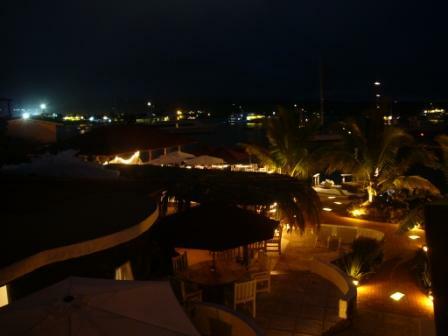 Visit San Cristobal Island. Visit the incredible beaches. 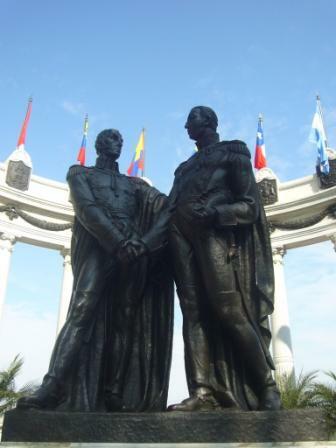 Flight San Cristobal – Guayaquil. 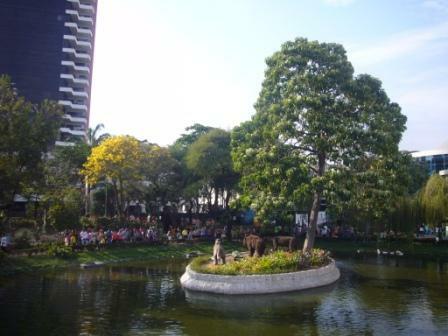 Visit the Malecón in Guayaquil. Return.